Taking my turn today on the blog tour for Love Heart Lane by Christie Barlow, so if you’re in the mood for a cosy, feel good novel with a healthy dash of romance, settle down for this review. My thanks to Rachel Gilbey of Rachel’s Randon Resources for my place on the tour and to HarperImpulse for my copy of the book, received via NetGalley, which I have reviewed honestly and impartially. There are some occasions when writing a review for a blog tour can be really hard. 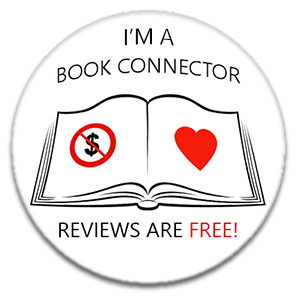 It’s not those times when I really don’t like a book, because it is my policy not to post negative reviews on the blog. It’s not the times I really, really love a book because then I can wax lyrical for pages (as regular readers will be only too aware) about why you should read it immediately. The tough ones are the ones that fall in between, where you have to write a balanced review for a book about which you have mixed feelings. Finding that balance can be hard – between honesty and fairness to the author. Frankly, sometimes I’d like to duck out, because I blog for fun and writing these reviews sometimes isn’t fun. But I know how disappointing it is for blog tour organisers and authors to be let down, and it is a matter of personal importance to me to deliver on commitments that I have made and produce the reviews I have promised, so all I can do is give it my best shot. But…I hate January. And I’ve got PMT. And my toilet is broken and taking ages to fix. I think my fridge is on the blink, even though it is only a year old. I’m waiting for the results of Little Miss Sunshine’s 11+ entrance exam. Mini Me has the fingers of her dominant strapped up after a netball injury and it looks like her vision may have worsened again. It’s cold. I hate driving on icy roads. I think one of my cats is becoming a bit incontinent. My WIP is currently in a difficult phase. I’m on a diet. I hate the gym. The finale of Game of Thrones is still three months away. Brexit. I’ve just done my tax return. A project I’m working on has hit a bumpy patch. I’m almost 47 and I’ve found a grey eyebrow hair. I’m doing Dry January. What is the relevance of this litany of complaints, you ask? I thought you were trying to look on the bright side this year? All that ‘Be Happy’ guff from your New Year’s Resolutions? You are right, of course, and if I try, I can sit down and write a list of all the things in life that I am grateful for and that make me happy. My point is, sometimes we all have a bad day, or week, and that can affect our mood, what we enjoy reading and how we react to the things that we do read. I think that has happened to me this week because this is a book that has received rave reviews from all my fellow bloggers and would ordinarily be the kind of thing that would lift my heart at this time of year, but for some reason it just didn’t. Add to this the fact that this is the second romance book I have had problems loving this week and I feel the need to caveat this review with the idea that it might be me, rather than the book, that is the issue and you should bear that in mind and read all the reviews on the tour to get a balanced view. So, after all that, let’s get on to the review. There were parts of the book that I loved, and parts that were less successful for me, and I will try and explain why. Firstly, the general premise of this book and the setting are enchanting. Felicity fled the small town of Heartcross eight years previously under a cloud of heartbreak and has had little contact with its inhabitants since. However, circumstances force her back and she has to try and re-established the life and relationships she abandoned. So far, so fabulous. Heartcross is a picture-perfect Highland idyll and I fell in love with it immediately. Christie draws a very vivid picture of a charming village and peoples it with a cast of warm, real and delightful characters who form a close knit community that you can’t help wishing you could be a part of. Another blogger on the tour likened it to Brigadoon (one of my all time favourite musicals – Gene Kelly, mmmm) and I completely understand what she means, especially after the bridge falls. The plot driver of Felicity trying to rebuild the fractured friendships she left behind provides plenty of tension to keep the plot rolling along nicely from a personal angle, and then there are a number of practical problems thrown in for added impetus. All of this works perfectly. There is, of course, an emotional romantic relationship to be explored as well. Everything you could wish for seems to be present. So why did it not quite work for me? Having given this a lot of careful thought, I had a couple of problems that prevented the book being a great read for me. Firstly, some parts of the plot were just two unlikely or problematic for me to buy in to. I know the author included them to move the story in a certain direction, but they were too much of a stretch for me to suspend my disbelief quite that far. This might not have been an issue normally – I’m often happy to swallow reality in favour of a romping read – but my overall current level of grumpiness comes with a large side order of pedantry that just made me annoyed at some of the more improbable or impractical aspects. You may fare better. The second, and probably more damning problem was that there were fundamental things about the central character that I didn’t particularly like. At times she acted in a way that I perceived as monumentally selfish. She barged ahead with things she wanted to do, despite being asked repeatedly by more than one person not to behave that way, as if other people’s feelings were irrelevant, she absolutely knew best, and then seemed surprised when they were angry. Added to this, she was also a superwoman who saved the village pretty much single-handedly from every obstacle thrown at it. To be honest, it set my teeth on edge. Unfortunately, in this genre of novel, a failure to connect with the main character sounds the death knell of the book for me. Christie’s writing is great, and on the surface this book works at every level. It certainly has wowed almost everyone else who has read and reviewed it. So, I will reiterate, I think the problem lies with me. I think it is just a case of wrong book, wrong time. This is one of the perils of blog tours. You commit to reading and reviewing a book, regardless of whether that book suits your mood or not, and are then faced with the stark choice of reneging on your promise to take part in the tour, which I hate to do because it is inconsiderate towards everyone else involved who has worked so hard to do their part, or writing a less than glowing review for a book that you may have enjoyed more at another time. It is a no win situation. For this reason, I urge you to read the other reviews on the tour and use them to judge the suitability of this book for you, rather than the rather cross ramblings of a peri-menopausal woman having a bad week. Or better still, buy the book and read it and make your own judgments. Christie, I probably owe you a drink. I’m off to Google HRT and reliable plumbers and dig out the receipt for that dodgy fridge. And to choose something nice and murder-y for my next read that might better suit my current mood. Love Heart Lane is out now as an ebook and will be available in paperback on 21 March and you can get your copy here. I understand how you feel. I’ve just had a really bad January, one thing after the next! Roll on February! Thanks for your honest review. I love this review for your honesty and I completely get it as I faced with one of those books and review now. I feel bleurgh and would hate to give a bad impression of it based on it setting my teeth on edge when normally it would be fine. It has made me add to my TBR list to see what I think but selfish characters are one thing that makes me want to yell into the pages. Thanks for the honest take in your review. I hope that your end of January is a bit better than what you were experiencing when you wrote this post. I can relate.